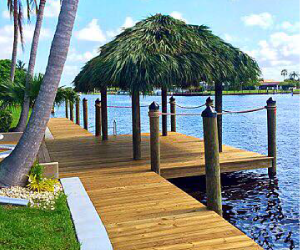 Complete Marine Construction crew specializing in custom dock construction, lift installation, seawall construction or repairs, and custom tiki huts – helping you create your ideal tropical paradise. We work closely with every client to design a custom dock that will fit your needs and your budget. 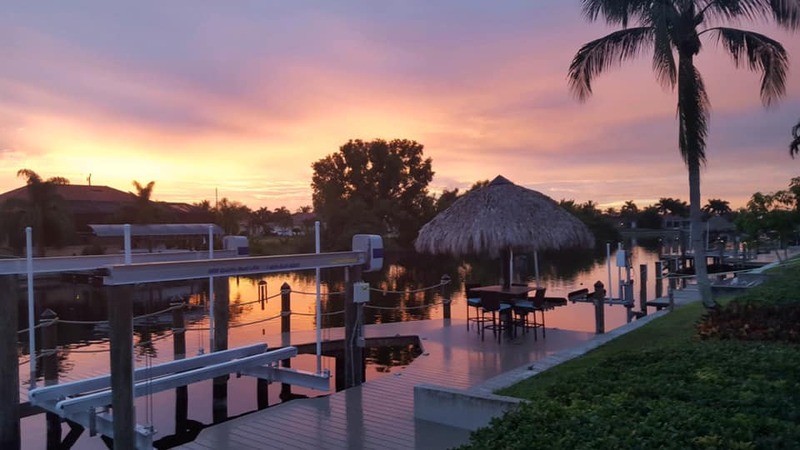 Our dock plans include boat lifts, canopies, electrical, lighting, and more to bring your vision to life. 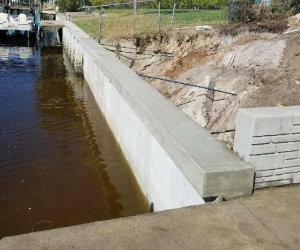 Whether you need new seawall construction or seawall repairs, your custom specifications are designed just for your lot and managed by a skilled seawall crew dedicated to customer satisfaction. 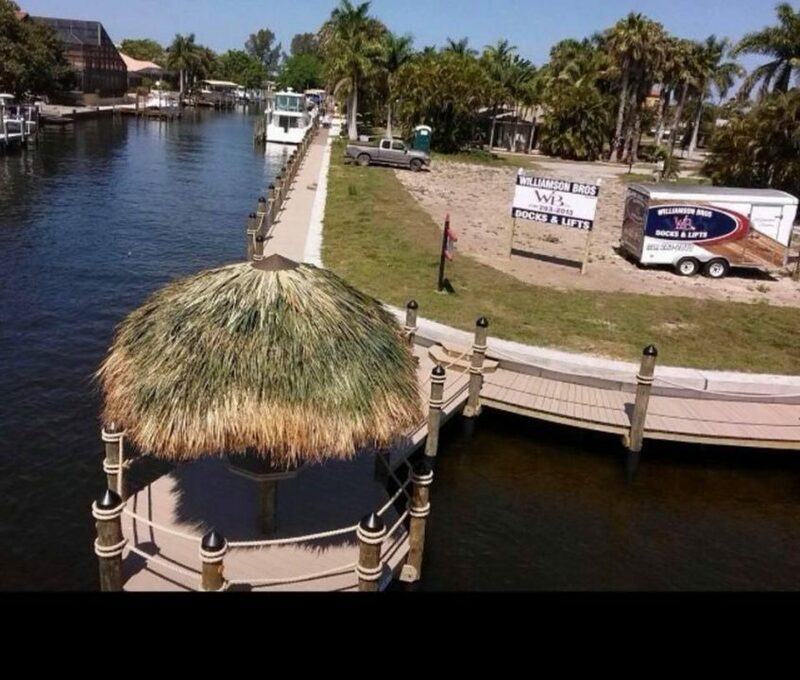 Jimmy and his crew put our 80 foot dock in 15 years ago and it looks as good today as it did when it was first built. He suggested that it be built slightly higher than others in the neighborhood and as a result it has never been submerged even during this seasons storms and even Charley. 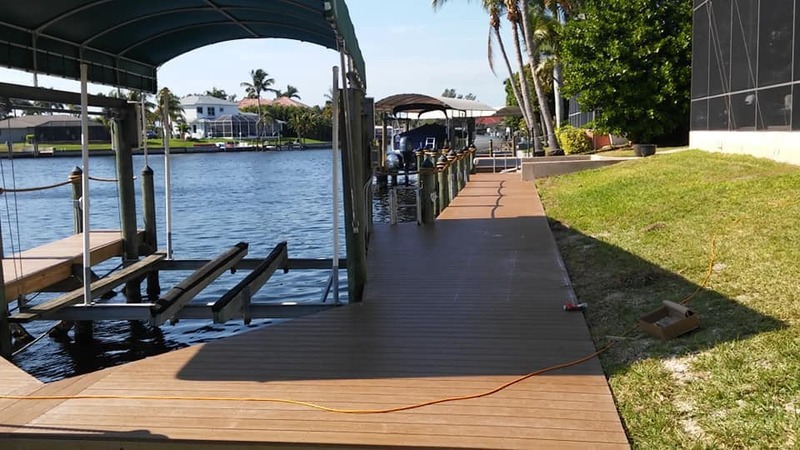 The stringers, posts, decking and trim have stood up to the years of harsh elements. I highly recommend him and his company to anyone who is interested in building a dock. Listen to his suggestions, you’ll be glad you did. We chose Williamson Brothers for our deck, lift, & tiki-hut and are SO glad we did! Every step was seamless, from planning through completion. Their construction team were top-notch professionals with great attitudes, consulting with us on finishing touches and fully answering any questions we had. They always arrived early, finished promptly, and cleaned up the entire work area afterwards. A beautiful, fantastic, quality job — we couldn’t be more pleased! We couldn’t be happier. We definitely made the right choice with Williamson Bros. Talk about attention to detail – they have it. Wonderful work crews that get the job done right. Fantastic customer service with this family run business. 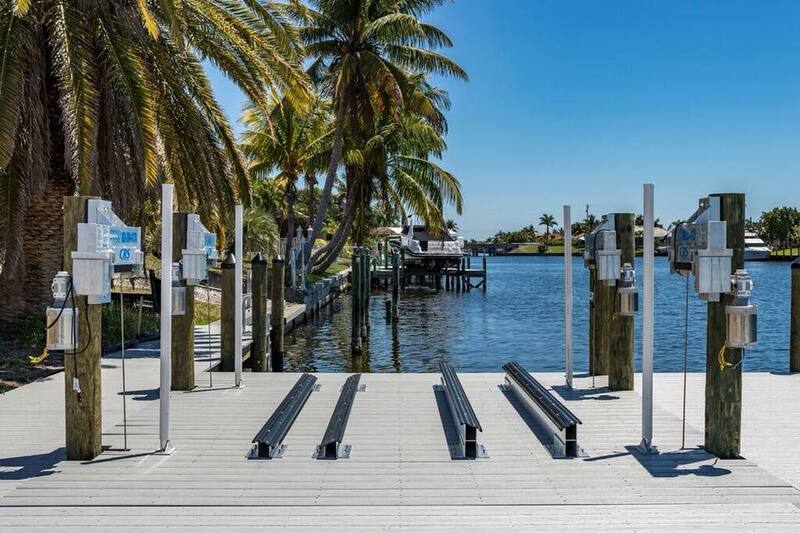 Look no further if you are looking to install a BEAUTIFUL DOCK this is your company. Can’t wait for the tiki!!!!! Excellent company! They exceeded our expectations! Their workmanship and customer service is hard to come by. We are so happy with our new dock and the suggests they made and we used. Their employees were nice, informative and professional. They answered all of our questions even when hard at work. It is unusual down here to get a person when you call and workers who show up on time. We love our dock! 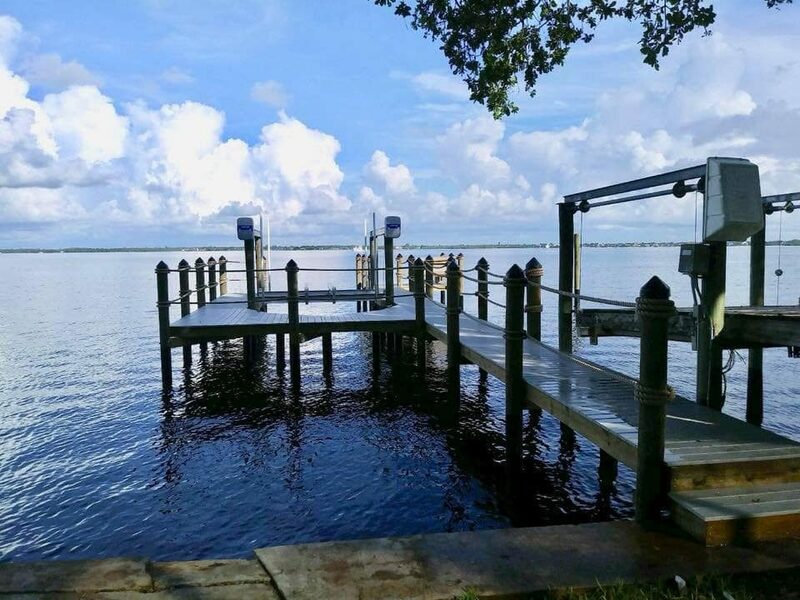 My husband Dave and I are Southwest Florida Real Estate Agents and have used Williamson Bros Docks and Lifts for our own dock/lift work. Additionally, many of our real estate clients have used them as well and all have been very satisfied and in many cases, said that Jimmy and his crew exceeded expectations. Jimmy (owner) is hands-on and always gets the job done in the quoted budget. Happy to recommend Williamson Bros Docks and Lifts. 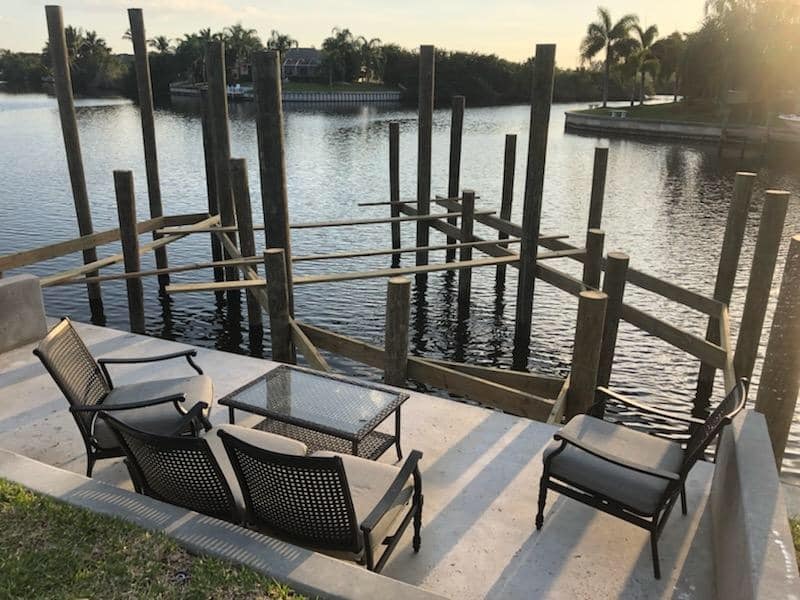 WB Williamson Bros Marine Construction specializes in the new custom dock construction, seawall construction, and tiki hut construction in the Southwest Florida region. Our experts work with you to understand your needs and wants, design a site plan, and create the perfect outdoor space for your needs and budget. 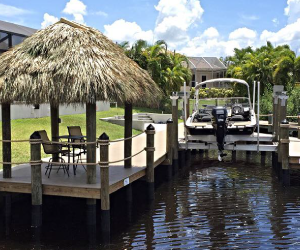 Our clients love their docks, seawalls, and tiki huts – and our reviews prove it. 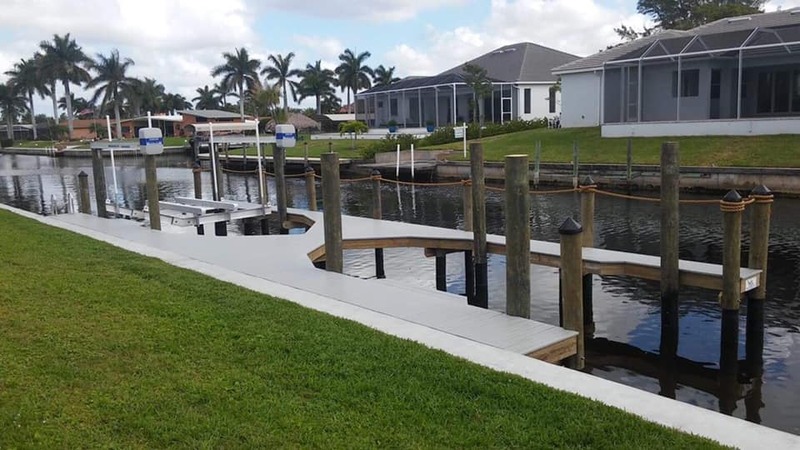 Because of our extensive experience in the local market, we are experts in building docks that are attractive, functional, and – most importantly – built to last. 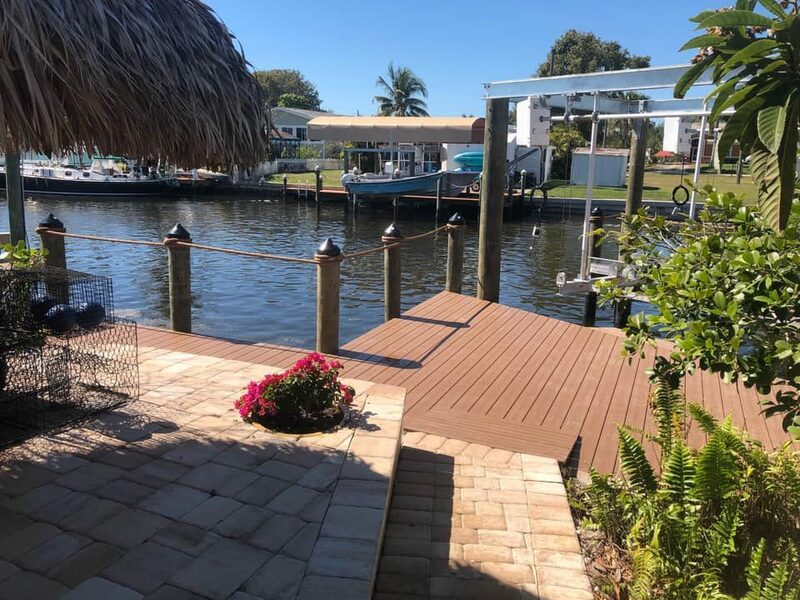 Whether you are building a dock in Cape Coral, Naples, Punta Gorda, or Alva; you can trust our skilled team to provide consultation, advice, education, and quality craftsmanship. 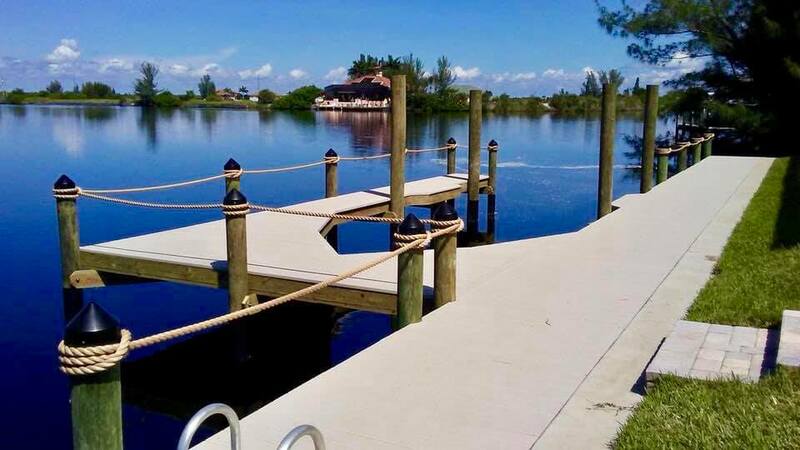 Learn more about building a custom dock or seawall in a free consultation with our expert consultants.